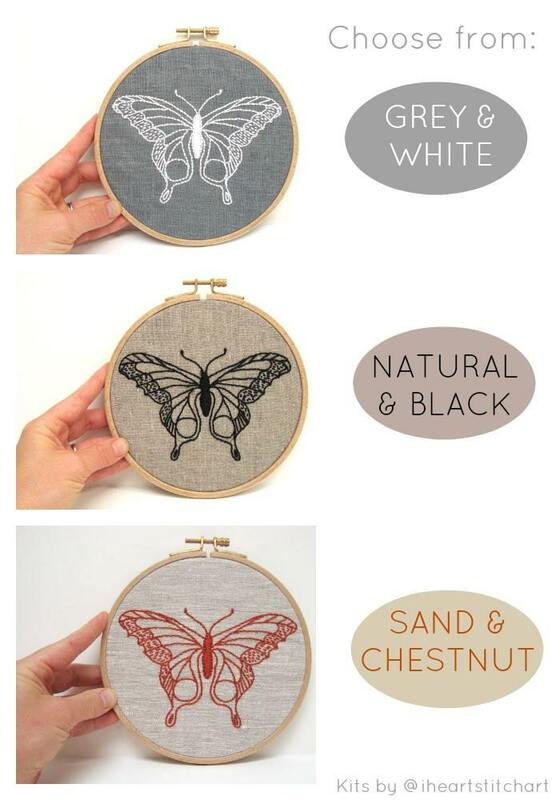 DIY butterfly hoop art kit! 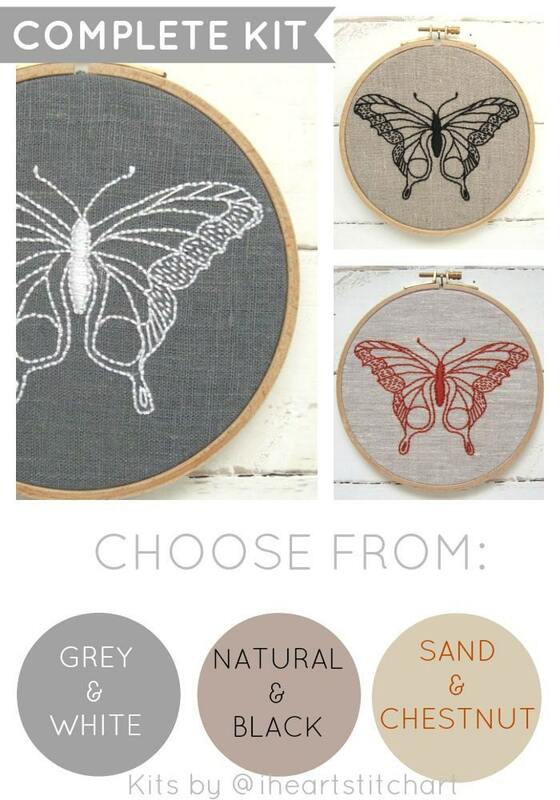 This embroidery kit features a butterfly pattern on your choice of grey, natural, or sand-coloured linen. 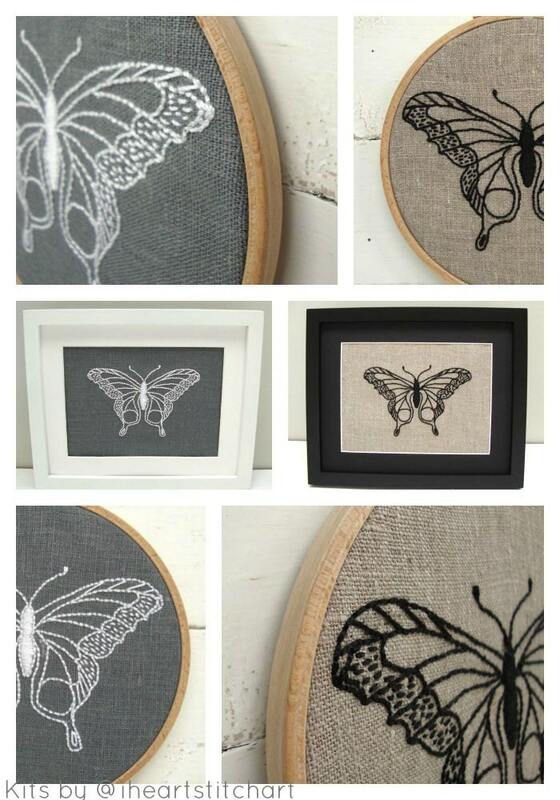 Fabric measures approximately 10.5" x 9"; butterfly measures 5.5" x 3.5". Thanks so much for this kit! 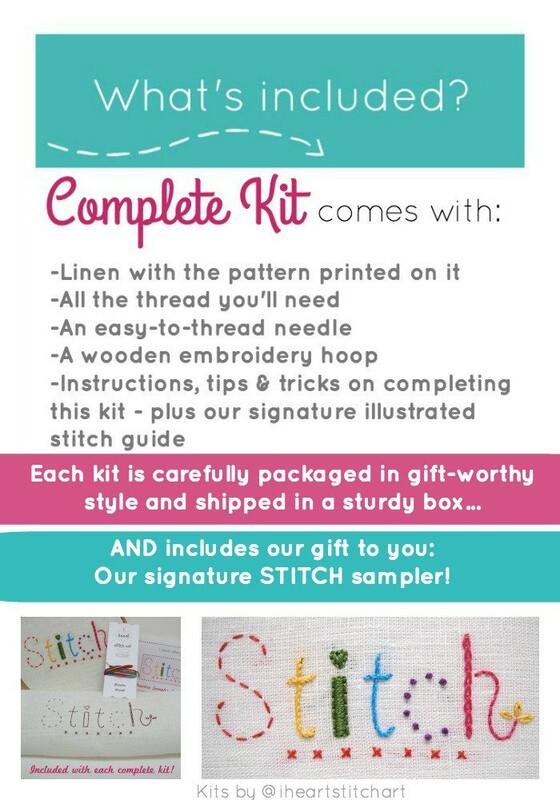 It was fun and simple.. just what I was looking for :) I also love the booklet with ideas on how to complete the design and the stitch tutorial in case you need a refresher or are new to embroidery! Shipping was super fast! This is such a wonderful kit! It has everything you could need and the instructions are very clear with great diagrams to assist! Loved the included practice sampler and everything was really high quality! This is my first embroidery project and it was a perfect one to start with. This was packaged with such personal touches that made it feel like a wonderful gift to unwrap. Everything is explained and packaged so wonderfully. 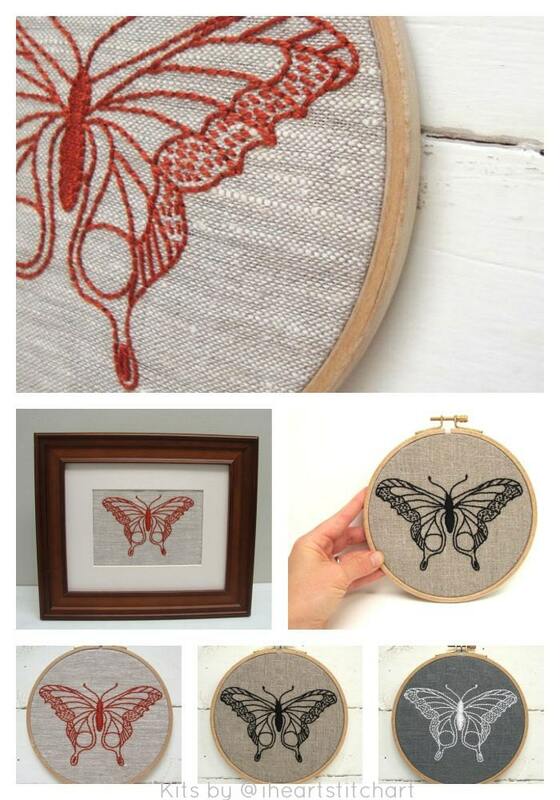 I have never embroidered before and this really got me into it. I couldn't wait to embroider. Definitely would buy from here again!